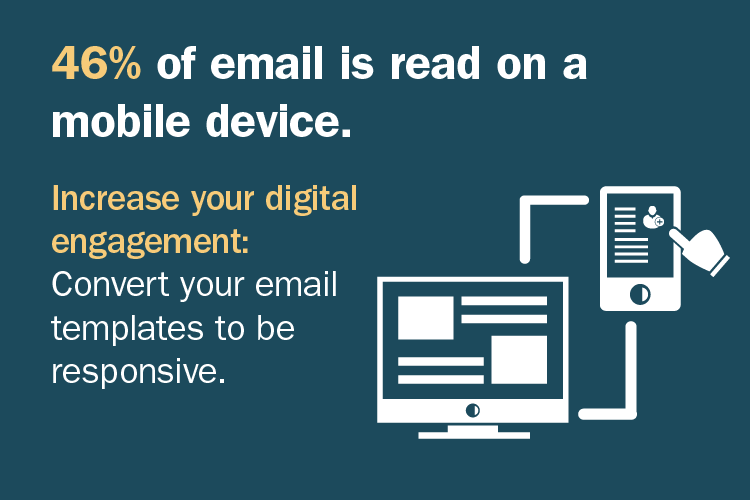 You have 8 seconds to capture the attention of your email audience. The least you can do is make sure they can read your message, no matter the device they are on. EMAIL TEMPLATES: Improve your results with custom designed responsive templates that will deliver your message across platforms from desktops to wrist wear. Predictive Response templates utilize the newest (and oldest) email standards to ensure your message is clearly delivered across all major email platforms. We’ll convert your current emails into responsive templates that adhere to your brand guidelines and can be used over and over again.